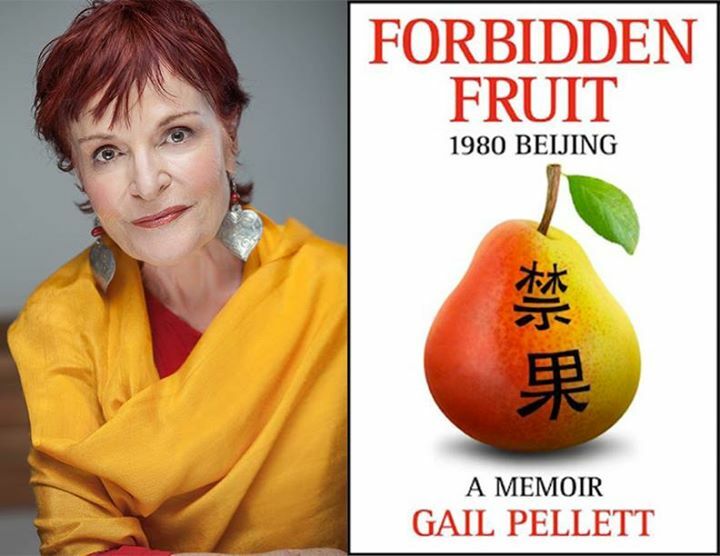 For Gail Pellet, that meant leaving her thriving career as writer, director and producer of TV and radio documentaries in New York, to seek out the forbidden fruit of China. She arrived swollen with her 60’s leftist fantasies and the mission to search for the new Socialist man or woman. But her usual passionate attempts to dig beneath the surface, get at the truth, and excavate meaning from dialogue with every Chinese man or women she came in contact with proved to be a fruitless and frustrating experience. Constant surveillance created extreme paranoia that painted all of life in Beijing a dark greenish grey, like the coal dust-filled air that blanketed the city and suffocated its life pulses with spiritual pollution. Forbidden Fruit is a ballsy, informative memoir of her time in the early 80’s while working at Radio Beijing, the part of the Central broadcast system that dances to the tune of the Propaganda Committee of the People’s Republic of China. It was an institution where the time clock ruled everything, even if the clocks were broken. This is a rare, clear window into the sooty Dickens-esque world of the lives of the Chinese people in Beijing and beyond. That is, as much of it as she could observe through the paranoia filter that strained every relationship with people whose self-image was controlled by the Communist Party’s hand. For Pellet, a vibrant, passionate woman whose mission has always been to give voice to those mouths forbidden to speak, it felt like a passage into gloom. She was desperate to get at her co-workers and any Chinese person who would abide her in getting to the inner heart of their life experience. “I could never seem to move beyond a surface veneer to something more authentic, reflections or revealing private doubts or fear, fantasies or phobias or jokes.” A forbidden “something” was having relations with a foreigner, especially a vibrant red-headed free spirit cultivated in the leftist activist era of the US. Now Pellet was coming face to face with the actual paralysis that occurs in a socialist/communist system, not the utopian idealism she was immersed in at Berkley years earlier. She packs a lot of Chinese political and cultural history into the pages of her memoir (I echo her feelings, “so much history my brain hurt and my soul felt tortured”), along with a Freudian questioning analysis of the humanness of these foreign beings, not excluding herself from that couch analysis and the effect such a stifled existence had on her own actions. Her constant companion, frustration, could be escaped only through the cadre of Jazz and Blues tapes she wallowed in, as potent for her as any drink or drug, or the rare affairs she risked with Chinese men. Her biggest barrier to getting at the heart of the Chinese people, the experience she craved most, was the “Great Wall” of the language barrier -- learning Mandarin, a wall it seemingly more formidable than the real stone one. Forbidden Fruit also offers a unique glimpse inside the hallowed walls of privileged foreign journalists sequestered from the real hardships of the sea of average Chinese men and women. In the end, through the memoir of Gail Pellett’s year in Beijing, a raw diary of her experiences mouthed with her plucky, expressive style, punctuated with shards of Jazz and Blues commentary, we too can taste the sometimes bitter, sometimes sour, and occasionally sweet taste of Mao’s Forbidden Fruit- the Chinese citizens, long before the current economic wave washed over China.